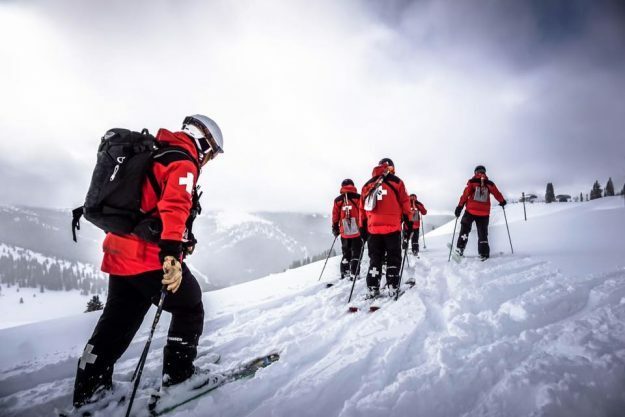 Vail Ski Patrol getting the mountain ready for the next storm (Vail Facebook page). It seems to happen every ski season in the Vail Valley. We get big December snow and the holiday crowds descend en mass. Then the snow gods dry things up for the tourists who generally prefer sunny skies to deep powder. And then right after the crowds thin out in the New Year, the snows starts falling again with a purpose. As a longtime local and year-round resident, all I can say is, “Thank you, snow gods,” because it’s happening again with a major winter storm hammering Colorado this week. Even during the relatively dry spell over the holidays, temps stayed cold enough that the local ski mountains held up very well. Now it looks like the snow machine will just keep churning in January. Things dry out a bit for the weekend before the next round of snow heads in for the start of next week, with still more snow in the forecast toward the middle of the month.